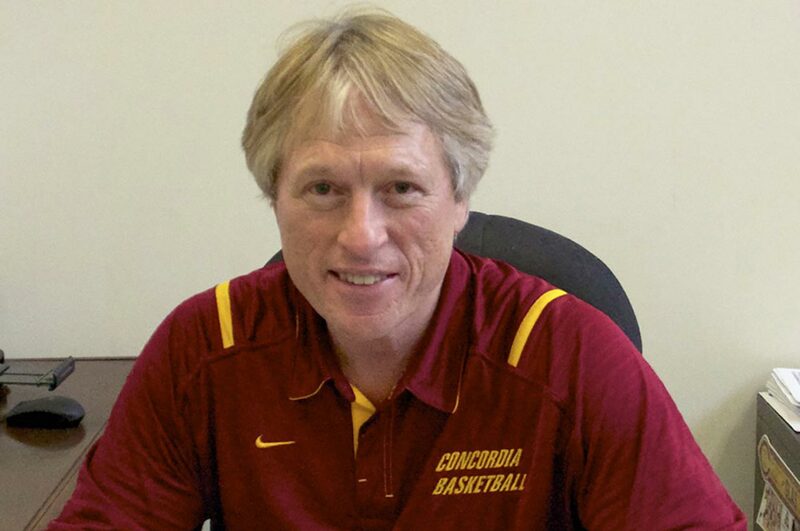 Since retiring in 2016 as head basketball coach at Concordia College in Moorhead, Rich Glas has had time to reflect on a life that sprung from the Bemidji State campus. The 1970 graduate is a son of the late John Glas, who in 1939 became business manager at Bemidji State Teachers College and retired as acting BSU president in 1968. The John Glas Fieldhouse, opened in 1967, is named for him. The younger Glas attended the Laboratory School, played with neighbors in the David Park House and had a front-row seat to campus life. The family of three boys lived just south of the Gillett Wellness Center in a house they donated to the university in 2012. It has been converted for use by visiting scholars. Glas played football, baseball and basketball at Bemidji High and continued with basketball at BSU, for which he was inducted into the university’s Athletic Hall of Fame. He said his love of athletics was nurtured by his dad, a passionate fan and staunch supporter of Beaver Athletics. “In his eyes, athletic competition served as the ‘front porch’ of the college and helped students, community members and fans become part of the university,” Glas said from his lake home near Nevis, which he enjoys with wife Sandy. After earning a degree in physical education, Glas became head basketball coach at the University of Minnesota, Morris. He went on to coach at Willamette University in Salem, Oregon, and at the University of Hawaii in Hilo. Next came the University of North Dakota, where he became its most successful basketball coach with a 335-194 record from 1998 to 2006. While at Concordia, he notched his 600th career win. Glas’ definition of success has evolved since those years of courtside intensity.